Hear directly from our valued clients about their experiences with Gorilla Logic and how they leverage our nearshoring solutions to achieve awesome results. Gorilla Logic’s Costa Rica team delivers a fan-friendly e-commerce app for Finish Line’s digital shoppers. Gorilla Logic helps Pro1 develop a highly intuitive IoT mobile application for controlling commercial and residential thermostats -distrupting the “comfort technology” market. Gorilla Logic developed a custom e-commerce site to support Photo & Go’s omni-channel, “store within a store” strategy. 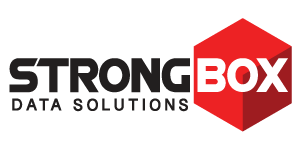 Gorilla Logic partnered with StrongBox Data Solutions’ Customer Experience Team to develop critical customer-facing features for their data and storage management solutions. New to nearshoring? We’ve put together a library of resources to help you determine how to best leverage nearshore outsourcing solutions for your specific initiatives. Which Shore is the Right Shore? We break down the opportunities and obstacles associated with onshore, offshore and nearshore models. New to nearshoring? We define what it means and the benefits it can bring to your business. Working with an outsourcing vendor who can’t meet all of your needs is a waste of your time and money. Our checklist will help you determine the best outsourcing match. Read about the benefits of outsourcing with Gorilla Logic including time zone alignment, collaboration, transparency, trust, and stellar project results. What makes nearshoring in Costa Rica special? Learn about the talent, timezone and culture advantages. Outsourcing a software development project to the other side of the world is difficult. For more than 17 years, Gorilla Logic has provided custom web and mobile application development to a variety of Fortune 500 and emerging companies. Check out the following resources to learn more about our onshore, nearshore and blended solutions! Nearshore is no longer optional. Gorilla Logic’s Nearshore Agile Teams build the most complex software development applications in your time zone. What makes an elite developer? Co-founders Stu Stern and Ed Schwarz explain. What is it like to be a Gorilla? Hear what Gorillas in the US and Costa Rica have to say. Did you know Gorillas are Agile? Learn why our Agile Gorillas deliver software solutions faster while providing an unmatched partner experience.